Permanently record important information in this Standard Diary for lasting reference, great for legal notes, research data, personal memoirs and more; 12 month diary tracks a full calendar year from January - December. Diary is ruled and dated; one day per page. Provides a full page of notetaking space for each day ,Telephone/address pages included for storing contacts. Bookbound, hardback diary is built for long lasting use. 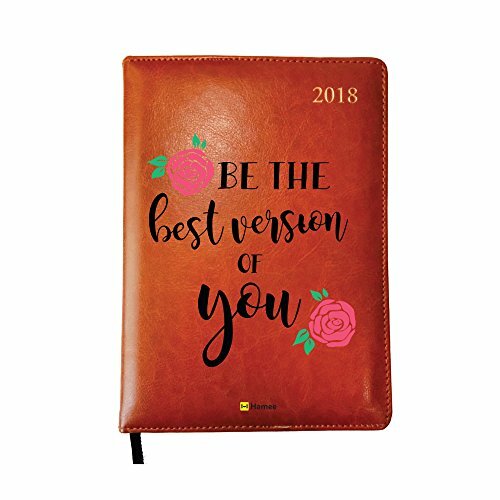 View More In Planners, Refills & Covers. If you have any questions about this product by Hamee, contact us by completing and submitting the form below. If you are looking for a specif part number, please include it with your message. Jumbo Large Print 2019 Desktop Calendar 13-Months - 17" x 11" Opened up, Or Closed it is 11" x 8.5"